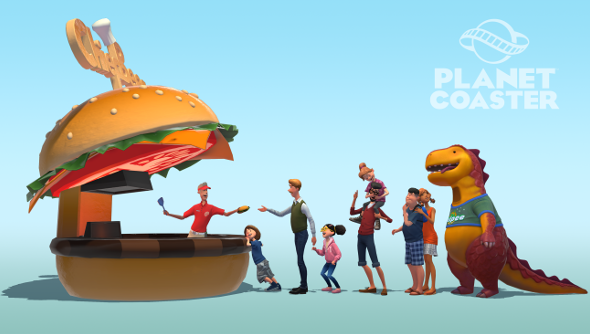 A bunch of new stuff got shown off last night in a Planet Coaster livestream, including the confirmation of mod support, modular building – with players being able to glue items together – and a giant tentacle monster. Just what is it with Frontier Developments and mysterious tentacles? Maybe Planet Coaster will one day find its way into our picks of PC’s best strategy games. Modular building will allow every user to create items unique to them and share them online – be it a beautiful arrangement of sculptures that form a super-statue, or a horrifying mess of junk that you could stamp the modern art label on. Of course, if you can’t be bothered to build these scenes yourself you could always download the creations of others. If you have a bit of modding knowledge, you will be able to create even more in-depth stuff, too, because mod support will be coming post launch.